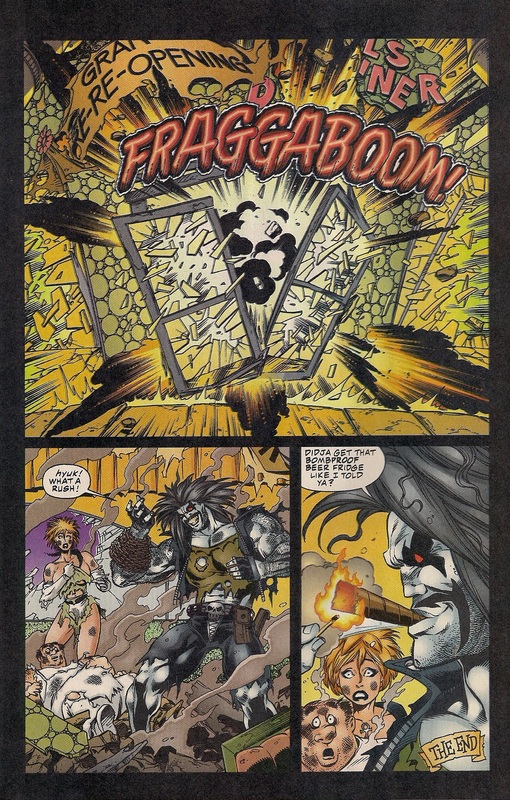 If there is a phrase to encapsulate the 1990s when it comes to comic books, that phrase would probably be “over the top.” However there were few character who embraced and ran with that notion with as much brazen abandon as DC’s Lobo. 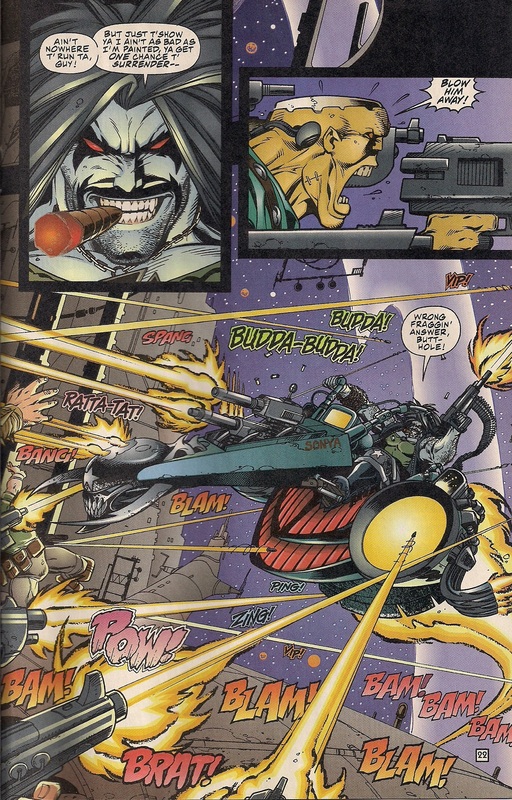 The interstellar bounty hunter with a bad attitude received a special #0 issue as part of DC’s Zero Hour event (I don’t even know,) and I’ve brought along guest Paul Scavitto to help me take a look at this one of a kind character. 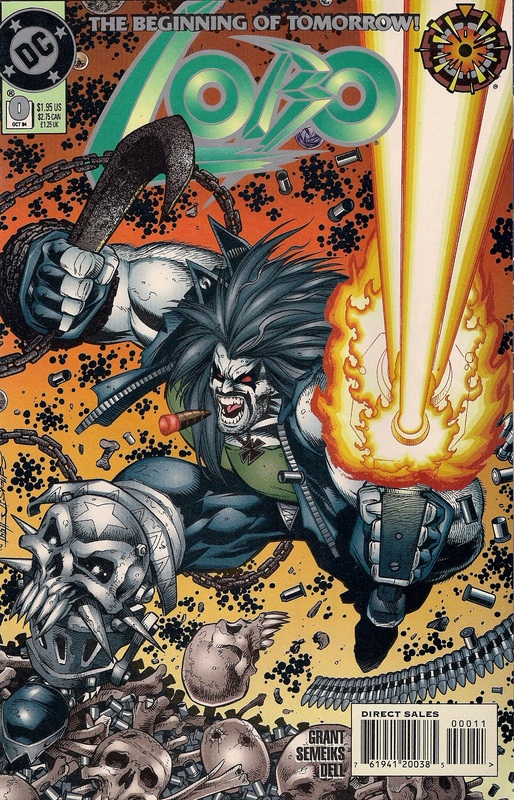 Listen to Episode 4: Lobo #0. And now here are your choice samplings from Issue #0, written by Alan Grant with art by Val Semeiks. If the phrase “just born bad” was EVER appropriate. Ladies and gentlemen: our hero? 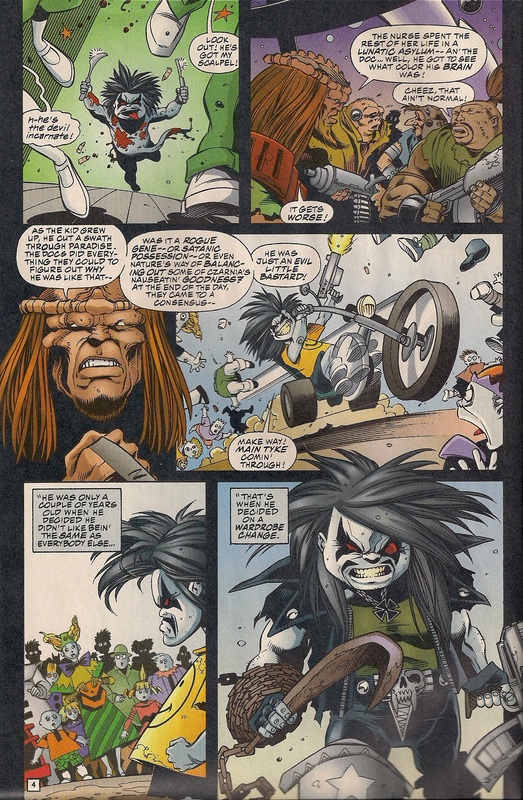 Lobo is his own cavalry. The man knows his priorities. 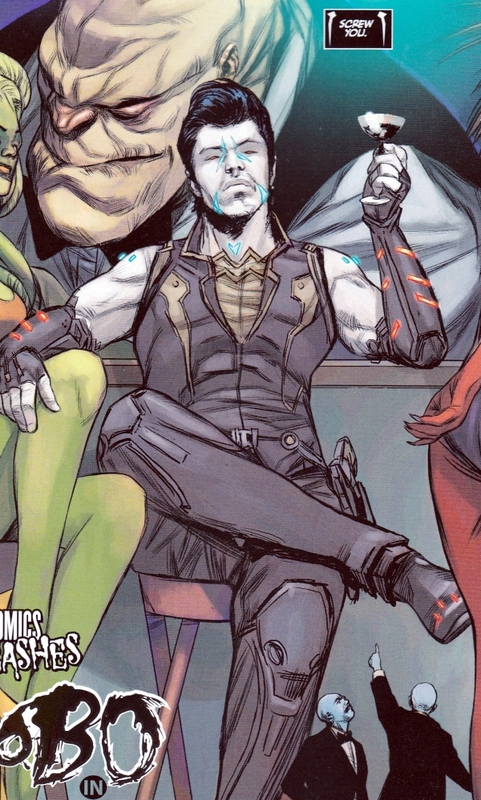 And for reasons beyond any possible comprehension, this is what Lobo is now like in the current DC universe. 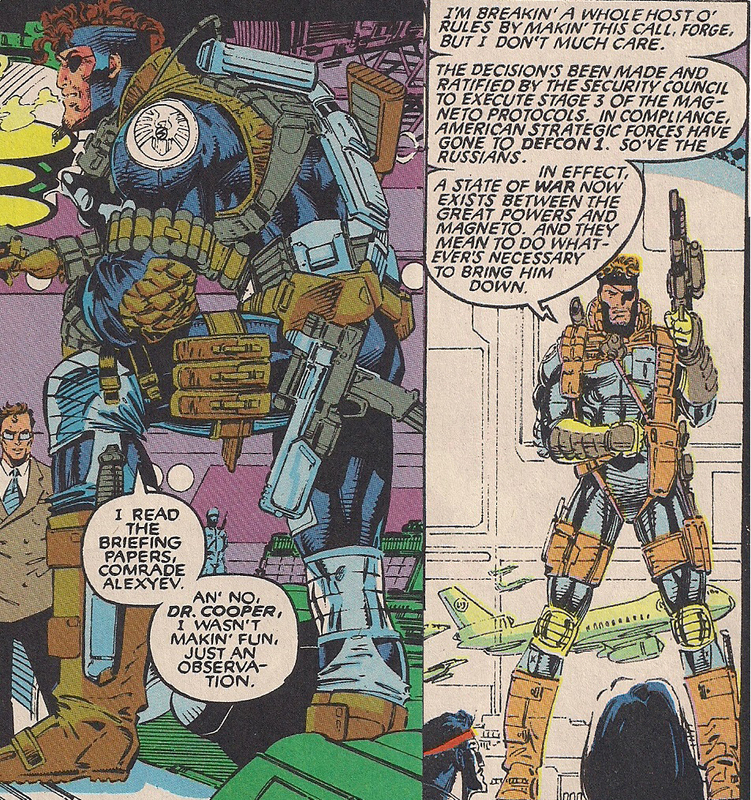 The 90s may have produced some work that most comic book fans would rather forget. 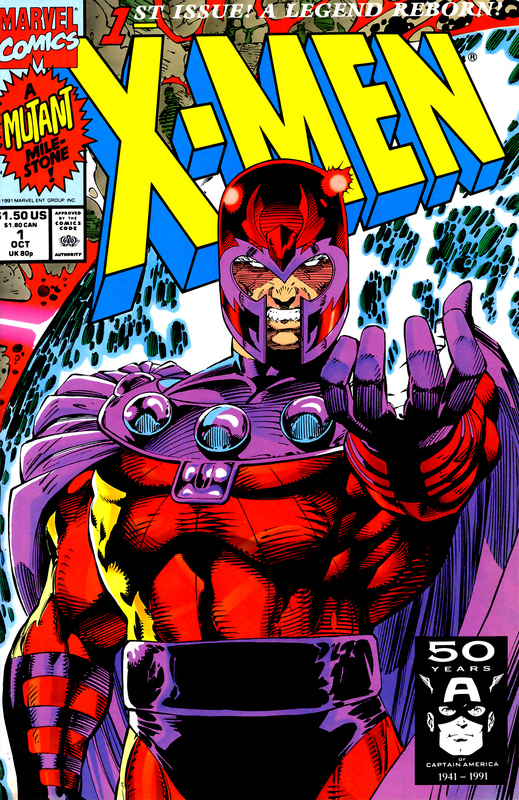 But it also produced the single bestselling comic book issue of all time: X-Men #1. 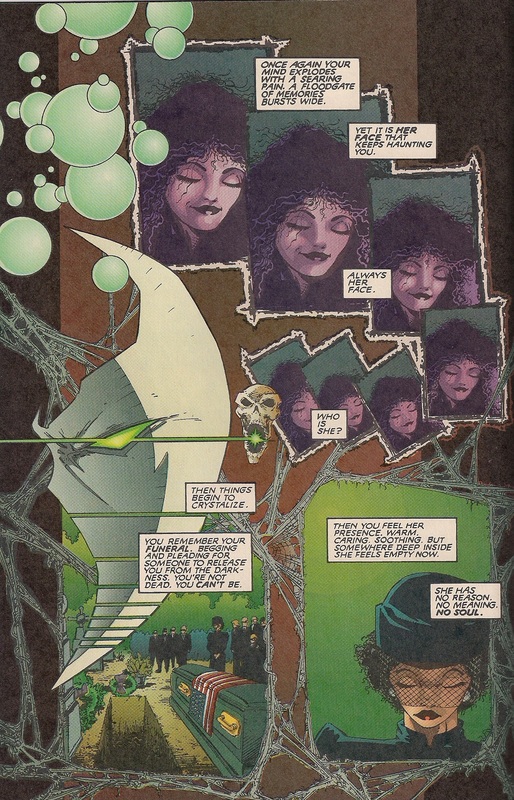 The writer/artist team of Chris Claremont and Jim Lee captured lightning in a bottle at exactly the right time and everybody sat up and took notice. 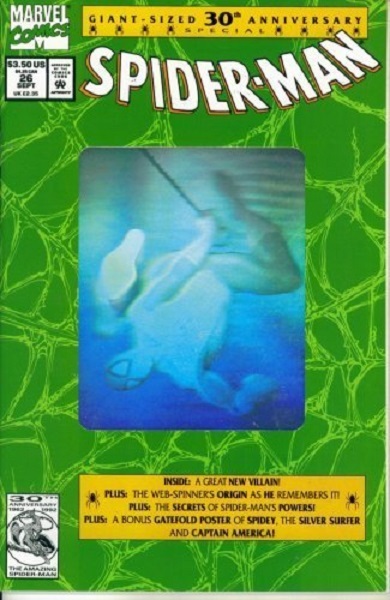 So with those hefty expectations we take a look at that seminal issue and it’s immediate follow up. Listen to Episode 3: X-Men #1 & 2. 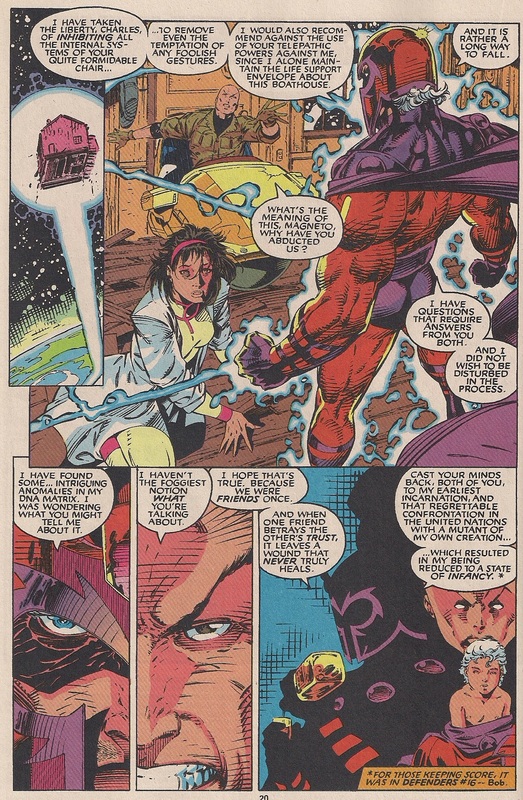 And now for a few choice samplings from Issue #1, written by Chris Claremont with art by Jim Lee. X-Men do not simply “stand around,” they pose for invisible photographers at all times! And here we have two of the most popular characters of the era. One renowned for his gruff demeanor, savage character and mysterious background and the other for her… well… just shut up and look at her. Move over Hugh Hefner… Hey! Maybe that’s why all the women in this comic look like they’re posing for a centerfold. A cover that tells a story, and a cover blurb that pointlessly reiterates that story. 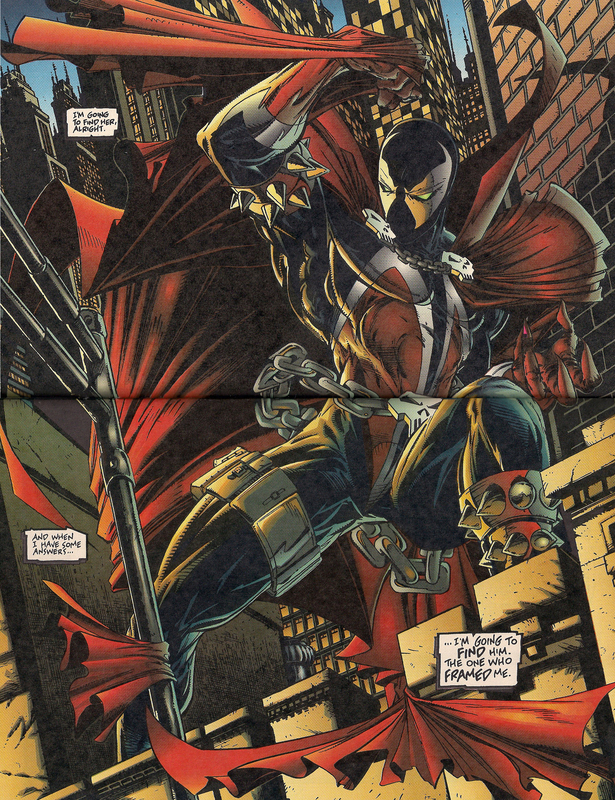 I’ve poked some fun, but this is an example of Jim Lee at his best. I hope you’ll come back next time when I’ll have a guest to help me take a look at one of my few issues of a DC comic: Lobo #0. Before you go, here’s a heaping helping of cheesecake with a side of beefcake. How I spent my summer vacation… in my mind. 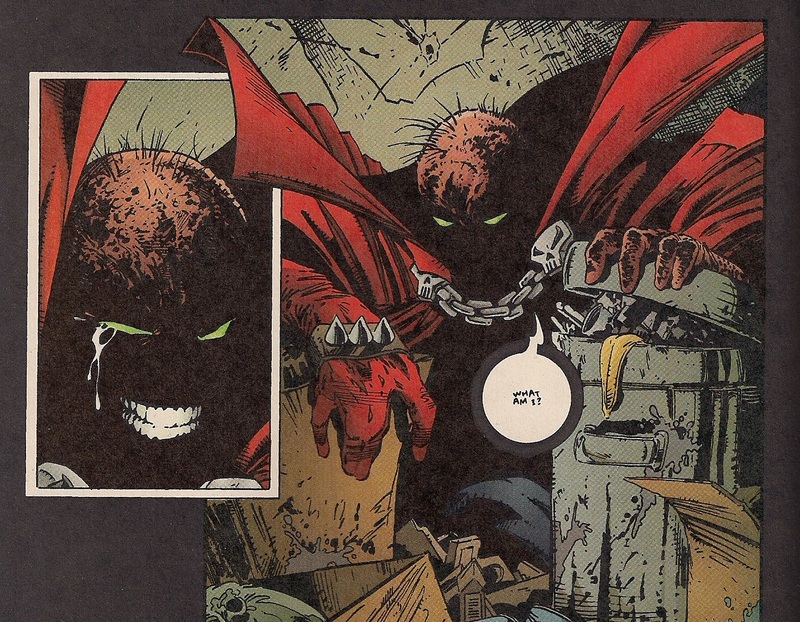 If you’re talking 90’s comics, there’s no getting around Todd McFarlane in general, or his creation Spawn in particular. For better or worse the man and his dark gothic superhero helped define the decade. Most people tend to view both as something to be rather embarrassed by these day, but how does the actual premier issue hold up? Let’s find out together! 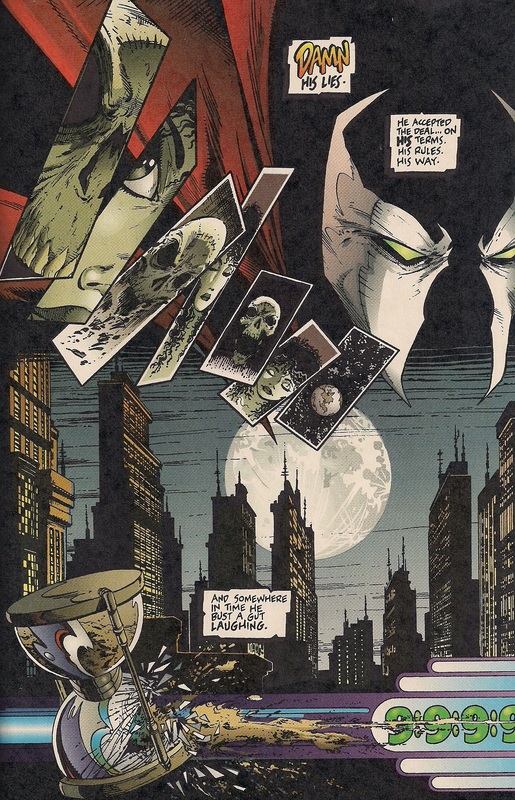 Listen to Episode 2: Spawn #1. You can subscribe to the Council of Geeks podcast, home of 90s Comics Retrial, on iTunes or now at Sticher. 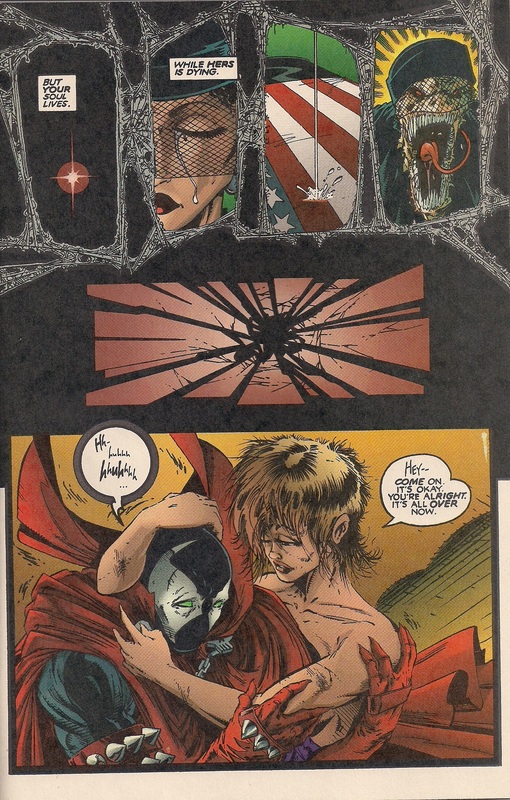 And now for a few choice samples from writer/artist Todd McFarlane. Our hero, ladies and gentlemen! Don’t mind the garter. This is a crowded page done wrong. This is a crowded page done right. And this is how you properly jolt back to reality. Ladies and gentlemen… our hero? Huh… it’s almost like there’s something complex going on. 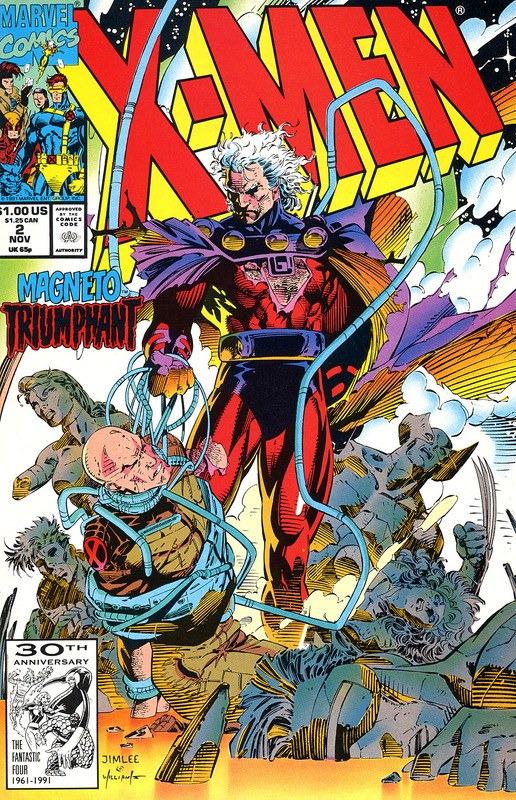 Come back in a week when Nathaniel Wayne will take a look at another decade defining artist: Jim Lee, and his work on X-Men #1 and #2. Nathaniel Wayne begins his trip down memory lane by revisiting the comics from his personal collection. Such a shame that they’re all from the 1990s. 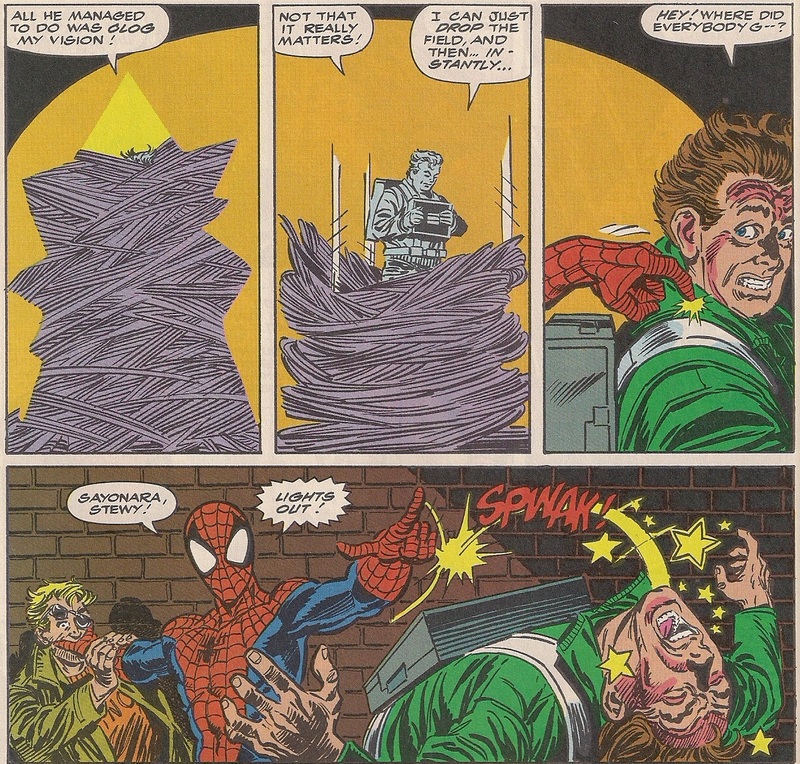 This first outing gives a bit of a summery of what Nathaniel hopes to accomplish with the podcast as well as a quick rundown of some of the reasons people prefer to forget 90s comics before launching into a look at the holographic covered Spider-Man #26. 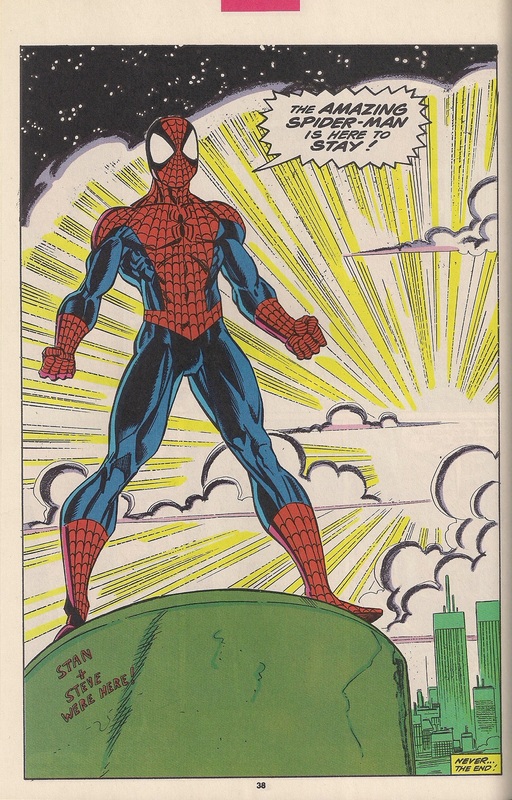 That’s John Romita art being put through the holographic ringer in case you were wondering. 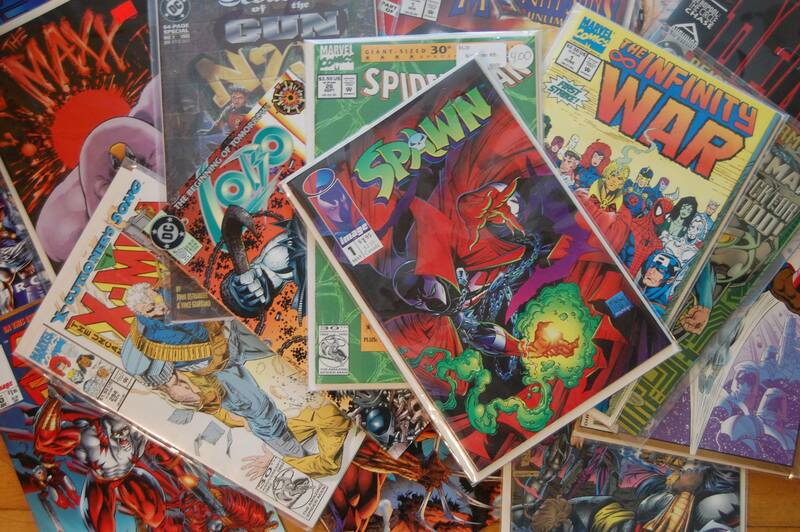 Subscribe to Council of Geeks on iTunes, home of 90s Comics Retrial. 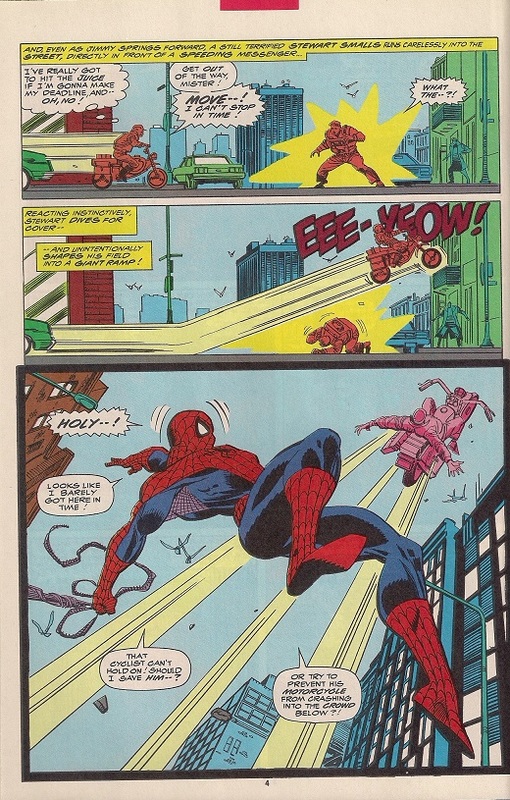 A few choice samplings from the comic itself, all from the main story “With Great Responsibility,” written by Tom DeFalco with art by Ron Frenz and Mark Bagley. Force-field ramping, the newest X-Games sport! Cheesecake was alive and well in the 1990s. No joke for this one. It’s genuinely the best moment in the book. Way to stay out until dawn when your wife was waiting for you at home in a freaking teddy! 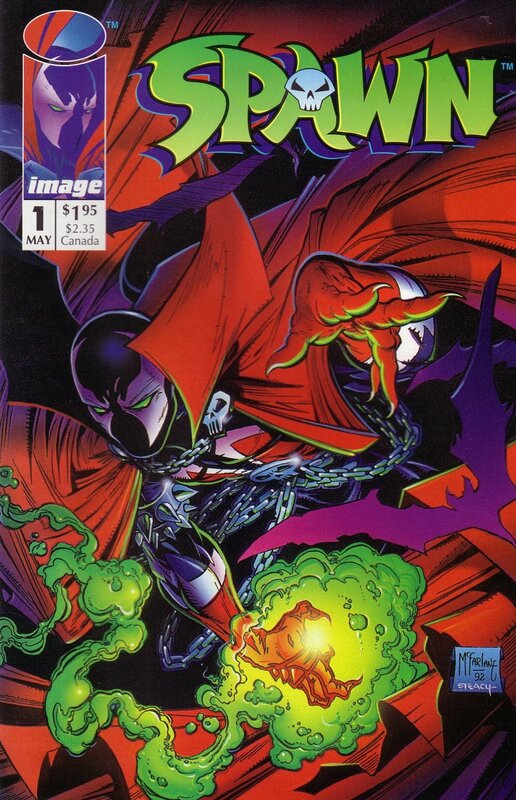 Come back in a week when Nathaniel will dive into the world of Image with Spawn #1. Greetings folks! Yeah, I know. Not much to look at right now. There was even less before I realized that since I put the promo out there, I should probably have SOMETHING on the website. So I guess a mission statement is as good as anything. Here I’ll be revisiting my own personal comic book collection, which I retrieved from my mother’s attic and consists of comic books that I purchased between 1992 and 1996 (the only period in which I was buying monthly issues as opposed to trade paperbacks or collections.) I’m going to be going through this collection issue by issue, and giving these books a retrial. Why do they need a retrial? Well, because most comics fans have written off anything that the mainstream comics industry pushed out during the 1990s, so in the culture these have already been deemed guilty of 90s awefulness. With me, they get a second shot. As far as what’s going to be covered, it’s largely going to be Marvel and Image titles, because that’s what I was buying at the time. There won’t be much DC, and there’ll be a small helping of Dark Horse but not too much of that either. So if you were after a broader look at 1990s comics… well, I guess my tastes at the time were a bit narrow so it is what it is. 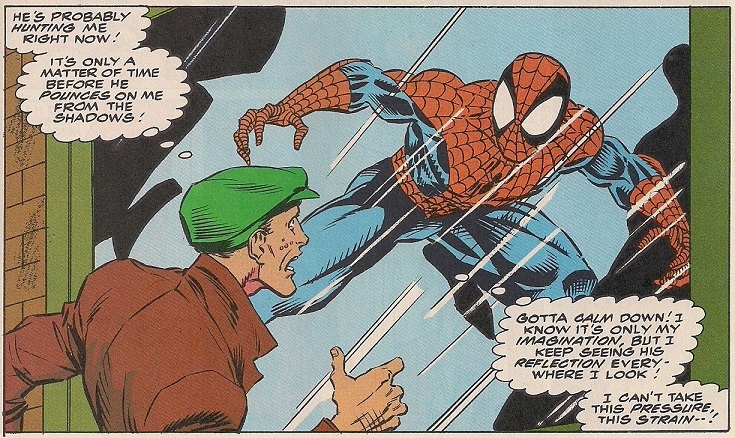 This coming Wednesday will mark the first episode, in which I’ll revisit Spider-Man #26. 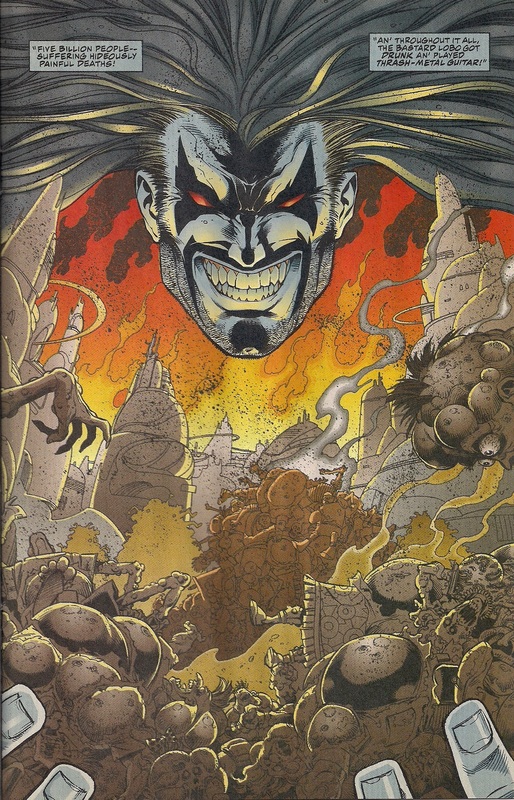 The first few episodes will be me hoofing it solo, but down the line I’ll be bringing in some guests to help me plow through these things and in my own small way try to answer the question: were 90s comics really that bad? … Probably, but they’ll get their shot at redemption anyways. The podcast will be part of the Council of Geeks podcast, available on iTunes, so you can subscribe to Council of Geeks now and beat the rush!